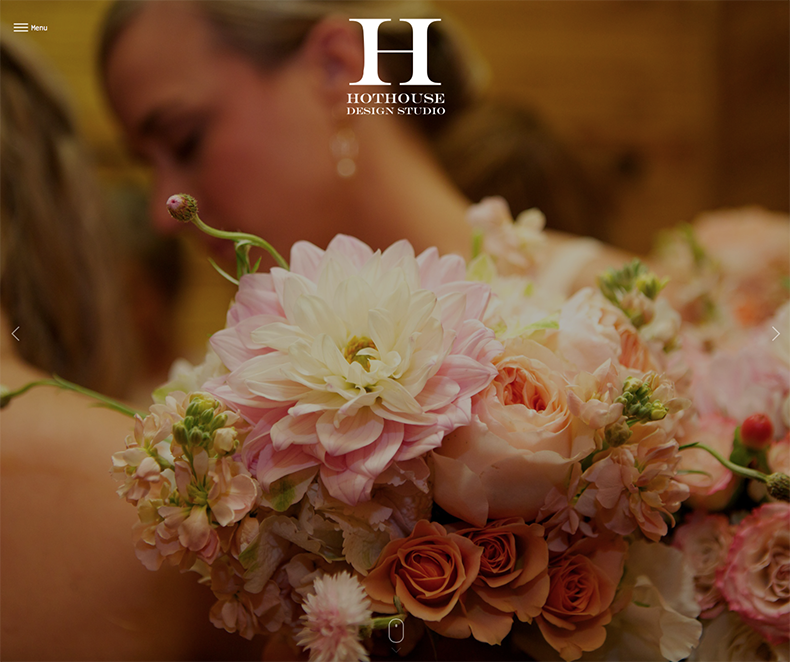 Hothouse is a floral design studio located in beautiful Birmingham, Alabama. 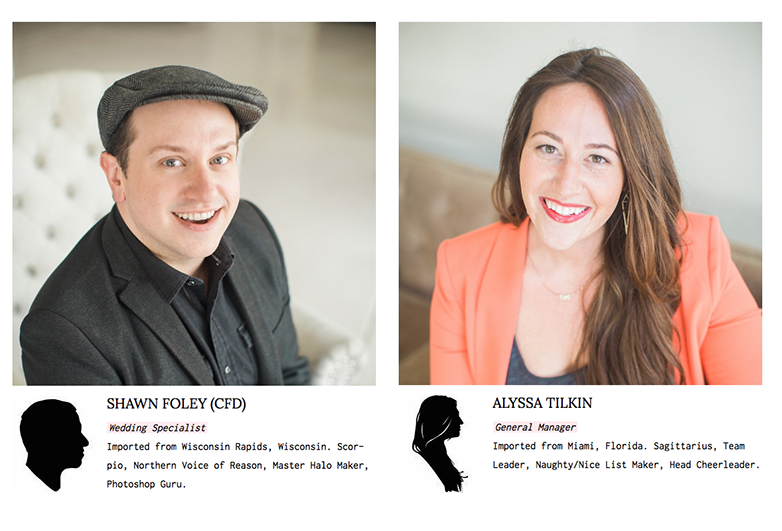 They house an amazing team of creatives that bring something magical to every aspect of the weddings and events they design. 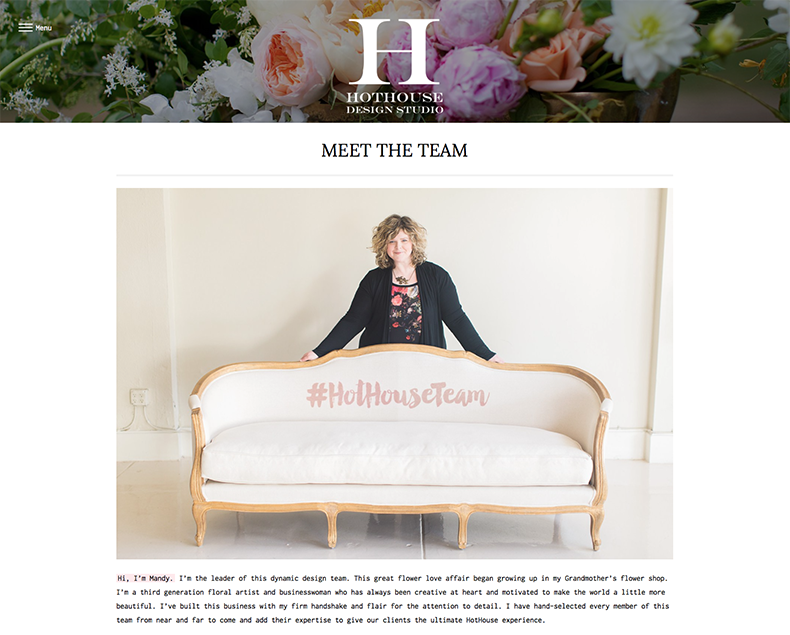 We partnered with HotHouse to create a dynamic website to showcase the beautiful work they do. 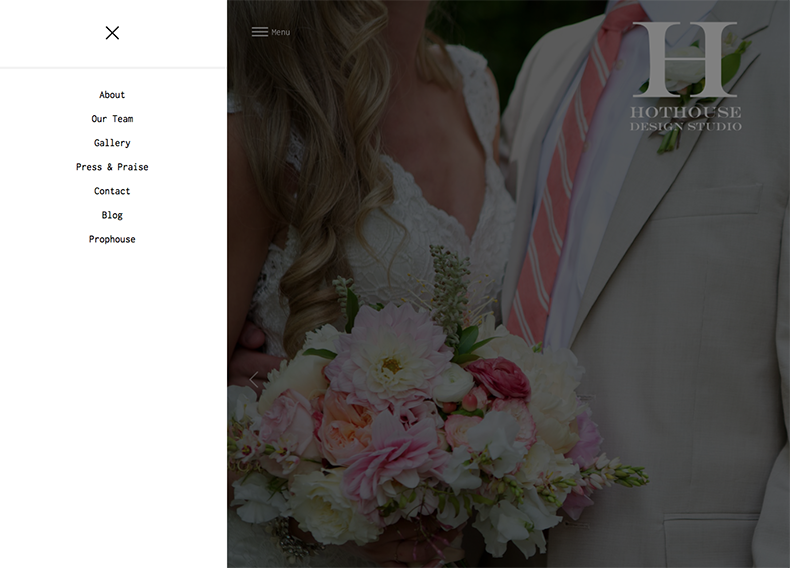 We chose WordPress for our CMS and started with the wonderful Ricca theme and customized it for their business. Starting with a pre-existing theme is a great way to save time and money but still end up with a beautiful, responsive website design. 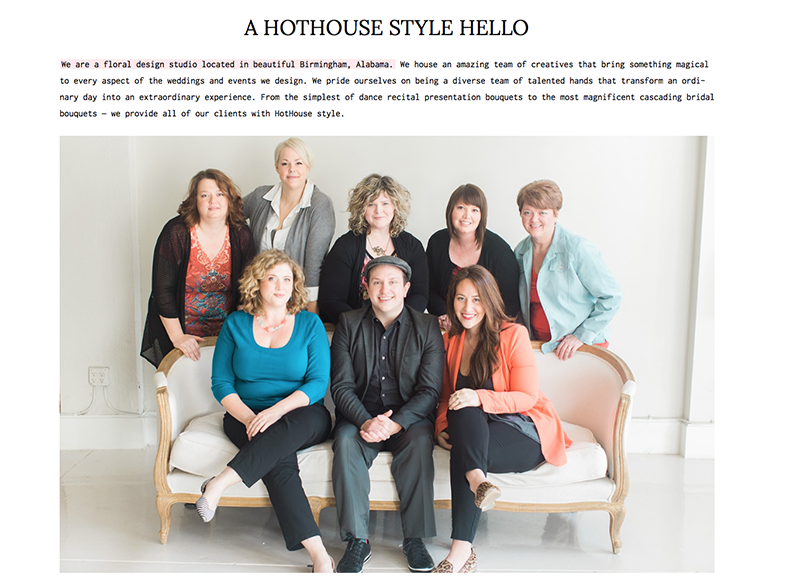 Branding for HotHouse was created by the talented Anna Reynolds at Whitespace Studio.